Dr Tadhg Lynch, Consultant Interventional Pain Specialist is a graduate of NUI Galway. His qualifications include the certificate of completion of specialist training (CCST) in Anaesthesia, Intensive Care and Pain Medicine. 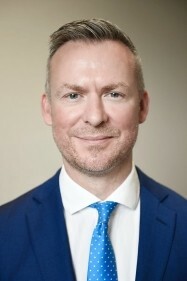 He is additionally qualified, being a Member of the Royal College of Physicians of Ireland (MRCPI), a Fellow of the College of Anaesthetists (FCARCSI), a Diplomat of the Irish Board of Intensive Care Medicine (DIBICM) and holds the Diploma in Pain Medicine (DPMed) of the College of Anaesthetists of Ireland. He is subspecialty trained in Interventional Pain Medicine and regional anaesthesia and was awarded the Diploma in Regional Anaesthesia by the European Society of Regional Anaesthesia. Sympathetic ganglia blocks (stellate and lumbar). Day case intravenous pain therapy infusions (lignocaine & ketamine). His interests are in the interventional and multidisciplinary treatment of chronic pain.